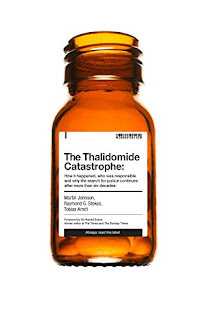 In the making for many years, the cheerily titled “The Thalidomide Catastrophe”, written by by Martin Johnson, Raymond G. Stokes and‎ Tobias Arndt, is finally out. The catastrophe was the corporate crime it created. A scathing exposé with previously unknown shocking facts, that finally lifts all the lids on the flids (sorry but you know I love a rhyme). 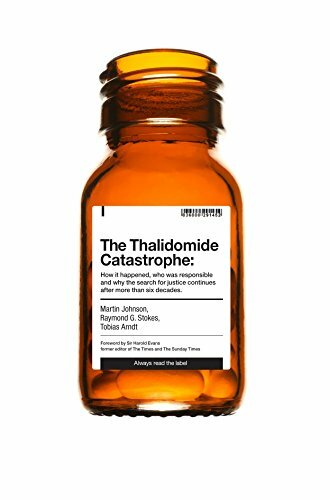 Maybe buy it and read it if you want to really know the truth behind the media stories on Thalidomide. In light of this book’s release, and it having been such a long story, I thought I would accompany my suggesting you reading it, with my old and long poem on the subject. I wrote it way before we knew the Nazi connection, and I concentrate mostly on the allure of alliteration along with the UK experience at the time.